Ray brings more than 16 years of experience to the firms and is a founding partner. He is a graduate of the University of Louisiana at Lafayette with a Bachelors of Science in Business Management; concentration in Finance & Portfolio Management. He holds his series 24, 7, 63 and 65 with LPL Financial along with Life, Health and Accident license. Ray is also a founding partner of Peak Insurance Agency. Vincent earned his Bachelor’s of Science in Business Administration with a concentration in Finance from Louisiana State University. He holds his Series 7, and 66 registrations through LPL Financial along with Life, Health and Accident license. Vince was formally w Chase JP Morgan Chase. He has more than 16 years of experience in the financial industry. In Nov of 2009, Vince along with four partners founded Peak Wealth Management. Since then the partners have worked hard to establish Peak Insurance Agency providing all lines of insurance both personal and commercial. Vince and his wife Melanie live in Lafayette with their two daughters Kate and Ali and their son Vinny. Charles earned his Bachelor’s Degree of General Studies with a concentration in Business Administration from the University of Louisiana at Lafayette. He has gained experience through positions held with Prudential Securities and JP Morgan Chase. In 2009, Charles became one of the founding partners of Peak Wealth Management. He holds his Series 7, 63, and 65 registrations with LPL Financial along with his Life and Health license. He has 12 plus years of experience in the industry and is a founding partner of Peak Insurance Agency. Charles and his son Christian live here in Lafayette. Hank Morvant is a graduate of the University of Louisiana at Lafayette with a Bachelors of Science in Finance. Hank is a long time veteran of the industry and holds his series 7 and 66 with LPL Financial along with Life, Health and Accident license. He previously spent many years as a Financial Banker with JP Morgan Chase and in 2010, joined Peak Wealth Management. He and his wife Sena live in Lafayette. Chad is a graduate of Louisiana State University with a Bachelors of Science in International Trade and Finance. Chad has also earned an Accredited Certification in Economics Securities from the Wharton School of Business. He has been licensed since 1998 and holds Series 7and 66 registrations with LPL Financial along with Life, Health and Accident license. He is a CERTIFIED FINANCIAL PLANNER(TM). Chad specializes in individual and corporate retirement, and estate planning. 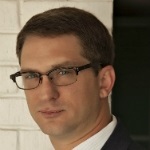 Prior to joining Peak Wealth Management in 2011, Chad spent 8 years with Edward Jones. Chad lives in Lafayette with his wife Marci and their two sons.